This was a major pain point for us every year around tax season. Since the current Uber website does not allow you to download all of your receipts for the year at once, you have to manually download, rename, and organize each of your invoices. So you’re either doing it one by one, or if you have a business profile, you still have to download them one month at a time. Uber’s monthly business travel report is great for keeping track of your trips, but these aren’t actual receipts. Automation! 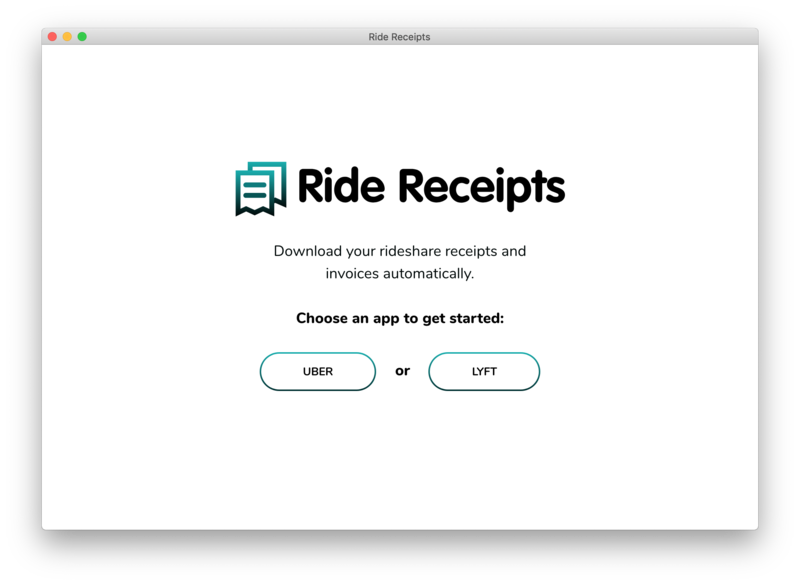 Ride Receipts is an open-source desktop app that automates the process of downloading, renaming, and organizing your Uber/Lyft receipts. Rather than logging into your Uber account to scan through each of your trips and manually download each receipt, Ride Receipts will automatically do it for you. Your invoices will be named according to the date and time of your trip, and organized by user account, year and month, in neat and tidy folders on your computer. For Uber and Lyft we utilize Gmail API to scan your email only for receipts. Make sure your system has latest Chrome Browser installed (v69 or above). Ride Receipts works on both Mac and PC. Ride Receipts does not store your login credentials, personal information or any other data. This application operates without a database. It only scans email for receipts with read-only access. Please feel free to give us suggestions or report a bug by creating a new issue via Github or messaging on Twitter: @ridereceipts. You can also email us at hello@ridereceipts.io.